Mix the ingredients together in a large bucket and wash your car with it. The baking soda works as a mild abrasive to help clean off road grit and grime, including dead bugs and things like that without harming your finish. Do you have any homemade cleaning recipes of your own to share? If so, you can submit your own homemade cleaners recipes here, or read other recipes already submitted. Join in and write your own page! It's easy to do. How? Simply click here to return to dish soap uses. Dish soaps like Dawn will wash your car, but you should also be warned that they will strip the wax off your vehicle leaving the paint open for damage by the elements, such as road grime, bird poo, rain, leaves, tree sap, etc. Do not use Dawn unless you plan as your next step to re-wax your car, or else you run the risk of ruining the paint. The clear coating on todays cars is not strong! You pay so much for a car (between the cost of the car, gas, insurance, maintenance, etc.) why use dish soap and hurt it? My suggestion, use baby shampoo and if there is grime use a sponge/rag covered in a pantyhose for 'scrubbing'. 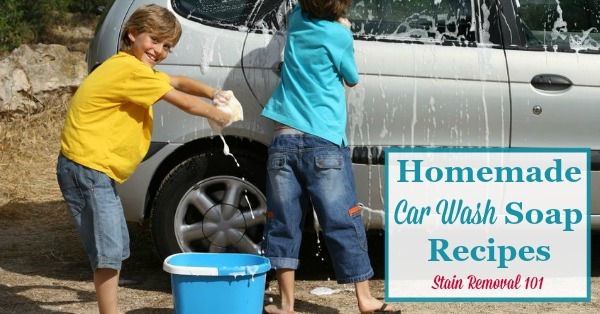 Thanks so much for sharing these additional words of wisdom about making our own car cleaning products. I would love to hear from even more people who make their own car car products, giving me your recipes and techniques. You can share your homemade recipes here, and your cleaning hints and tips here. Yep, other post is correct. Recipe works great but definitely WILL strip the wax off. Excellent if you are planning to rewax, claybar or Simonize. But good advice to use something that won't strip or streak like Baby Wash or Castile soap instead of the detergent instead if you just want to wash. I would also lighten up on the amount of baking soda. This is my point of view as a researcher. I do not recommend baby shampoo as a car washing soap although it is a mild shampoo, that's why formulated for babies, it doesn't have the properties of removing oil, hardened dust or grease formed from the hot humid atmosphere in our country. it can only clean car due to some cleaning components like Na0H or KOH, but, due to its mildness it will not remove other dirt that the car had accumulate. I would rather recommend to use a liquid soap, or dishwashing soap. 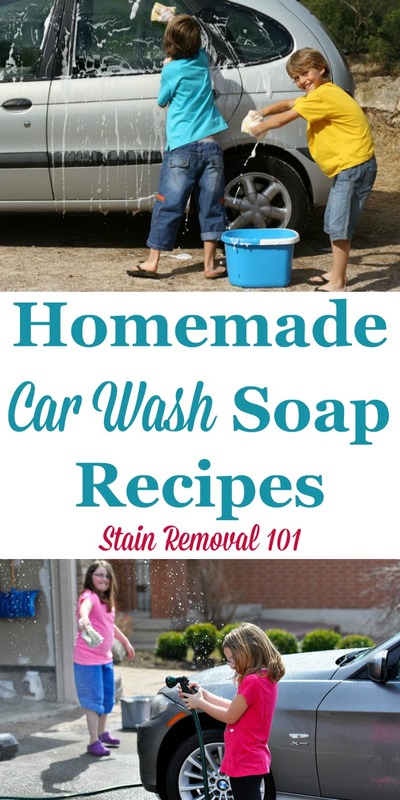 I have heard that dishwashing soap is too harsh for the car's finish and will strip the wax. I put cheap shampoo into a spray bottle and dilute it with a little water and spray it on each section of the car I'm working on--after I've sprayed the car with water from the hose first. It does a good job and doesn't hurt the finish. It doesn't streak and rinses easily if you don't let it stay on too long. If it doesn't hurt our hair it can't hurt the car! Car looks lovely and clean and shiny. Washed with your recipe and love ( and in the shade)! Thanks. What I read is that dishwashing liquid will strip the car of its wax, and the baking soda is abrasive so don't use that either. There are lots of disagreements. I have a couple little boys who are ready to wash my car and I just mixed a batch of cleaner. My first time. So here's what I'm going to do. I used dishwashing liquid - Palmolive - it really is better on my hands (like the commercial) and liquid laundry detergent - it's supposed to be powder but I didn't have any - and borax. Give or take on the amounts. I personally think that the amounts given are outrageous. And I used a really big bucket with less amounts that are recommended for 1 gallon. They're starting now. I'll get back to you. My car got egged last night and did not find it until this morning. I used your recipe and it worked great!!! Dish soap will remove max because it formulated to have strong emulsifiers to remove oils in food stuck to dishes. This will remove your wax however, it probably will not remove clear coats; it's just not strong enough. 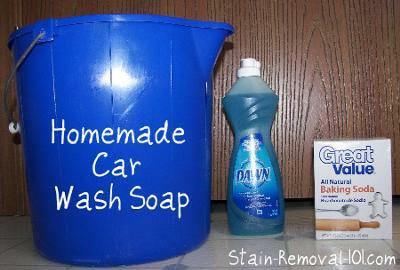 A good use of dish soap is to wash before clay bar but remember you will have to re-apply wax. 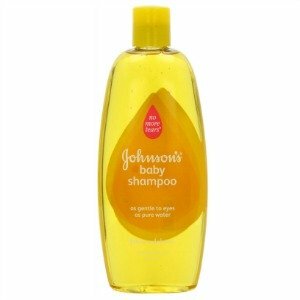 Baby shampoo is mild, pH around 8 and has natural chelators, chemicals that bind ions (minerals) and removes them from solution. This may help remove mild to moderate water spots. The soap is mild so probably wouldn't be ideal for a really soiled car. Borax, tetrasodium borate, may be added to car wash soap to buffer the solution, (keep it at pH 8ish) and as a water softener which will help make suds and removed minerals that may leave water spots. Add a small amount, tablespoon to 5 liters of water. It will not damage your paint and is frequently the chemical used in "spotless rinse" systems. Stay away from acetone (fingernail polish remover), wd-40, bug spray with DEET, RAID insect spray. I've seen videos and web pages that list these items as cheap life hacks to remove, bugs, tar, sap and oxidation. These products are strong organic chemicals that are petroleum distillates (save for acetone). While they will remove bugs, sap, tar, bugs and may remove mild scratches and oxidation, they will also dissolve clear coats and if left on tool long may start to dissolve paint. The best way to remove bugs/tar/sap is to use a more concentrated soap solution and a spray bottle. Spray close to knock away larger parts and allow to soak the liquid (cool surface in the shade) and use a microfiber towel to blot away the bug/tar/sap, repeat until gone (it may take several rounds). Avoid wiping or placing excessive force it may scratch paint. Speed shine from griots or spray waxes (which are usually just lubricants) work well in the above mentioned method. If you're not familiar with the chemistry involved with acid/base/buffers, organic chemistry and water hardness, and you don't want to take the time to learn, you can't go wrong buying a good quality car wash soap such as Griots garage or Maguiars soap.